What were you close to? The group? People?" "Please don't make this a special episode about me"
To dispel misnomers, I do not wish to here clinically examine or speculate on aspergers, but rather to "think through" aspergers, and see what it might help us articulate about the experience of alienation and community. 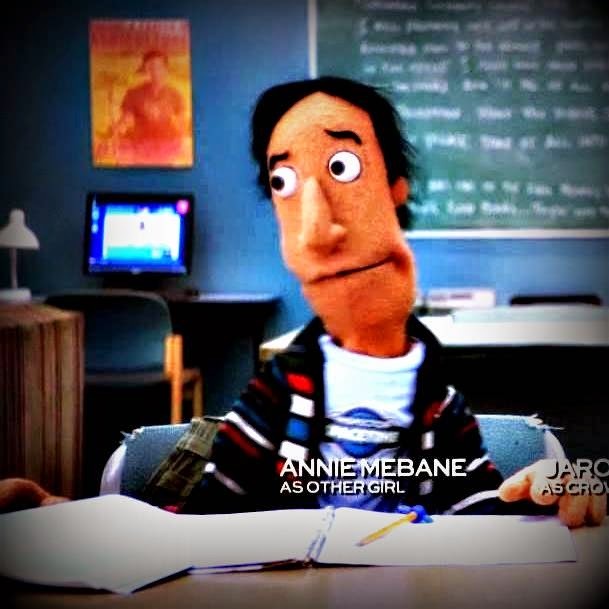 A great example of this sort of thinking through occurs on the NBC comedy 'Community' in which the character Abed Nadir is often unofficially diagnosed as portraying aspergers by other characters and by the shows creator Dan Harman (himself open about being clinically diagnosed). In commentaries for several of the episodes and in interviews, however, Harman voiced pride in avoiding ever trying to strictly classify Abed as having a specific condition or to 'run down the check-list' although he is also proud that the character has come to be respected and admire by 'members of a certain community' for not only demonstrating the challenges but also the dignity of functioning with aspergers. He may be the most liked and put together persons on the show, comments Harman. 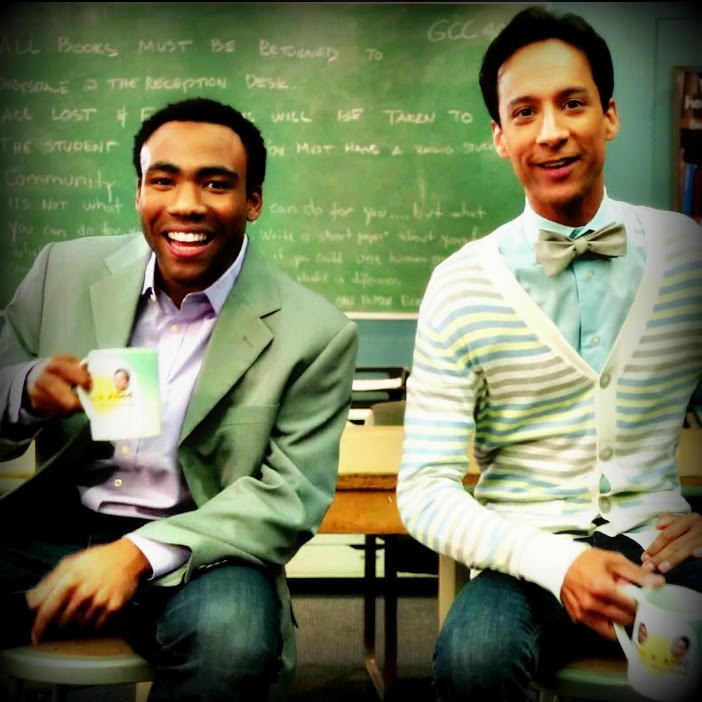 Thinking through aspergers, while not trying to over-determine a person based on a clinical mindset, Abed routinely performs the 'meta' commentary on the television-ism, media-ism, philosophy-ism, writing-ism, that is being attempted on the show. Harman comments how Abed allows him to call himself out on things which appear overly theatrical or pedagogical, and to explain things without the need for breaking the 4th wall in the way many mock-reality TV shows such as the Office or Modern Family do. One issue with this, which Abed ends up calling himself out on, is when the Meta-Language attempts to escape itself by being Meta about itself. In an episode where Abed attempts to make a movie about him making a movie about him making a movie etc. etc. etc. he ends up becoming a self-titled Christ figure, and explaining his theory about how meta-movie making and theology become inevitably recursive. This enclosed, if not narrowing circle, wonderfully comments on a issue which thinking through Abed/Aspergers allows us to approach: logic can become alienating. Logicians are probably familiar with the criticism to "get out of your head" and there is much to learn from that. The modern tradition of philosophy following Descartes "Cogito Ergo Sum" and on through Psychoanalysts such as Freud, Lacan, and Zizek run into the dilemma which is that by doubting everything outside their own thought, their thought becomes the engine of the universe. Even when moving into physical and meta-physical speculation, Zizek describes reality as a great mind, brought into being spontaneously through an un-being, an un-God, which is in other words: an un-conscious. In this line of thought, we find not only that it becomes difficult to care about the world outside one's mind, something which Zizek often criticizes himself for. Furthermore, Zizek, following Lacan, in basing their existence out of a central lack, or nothingness, which perpetuates only by narrowly erring away from the void on each pass, we can see the circle-game at play. Some creeds of Buddhism likewise follow this logic, but asserting existence as a wheel of suffering which the escape out or into nothingness is the ultimate goal. 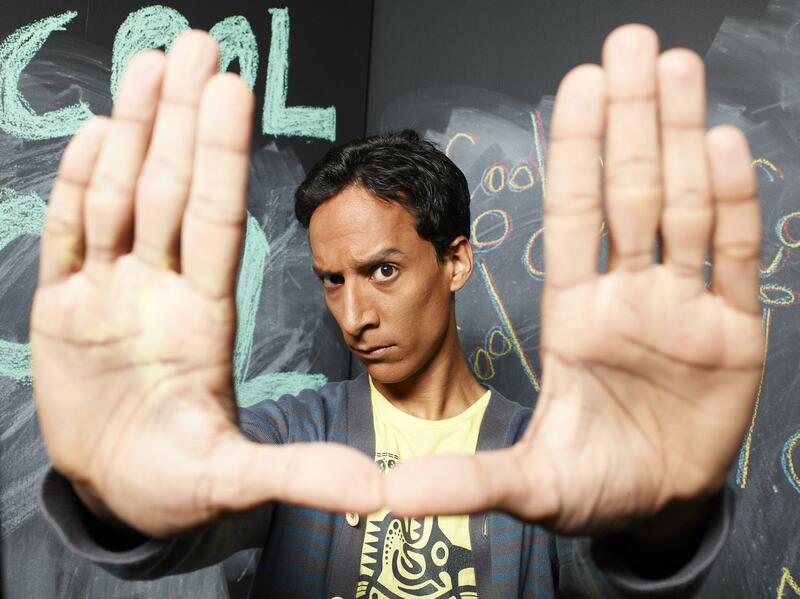 How is that Abed came to be one of the most endearing characters in Community? By not being perfectly logical. 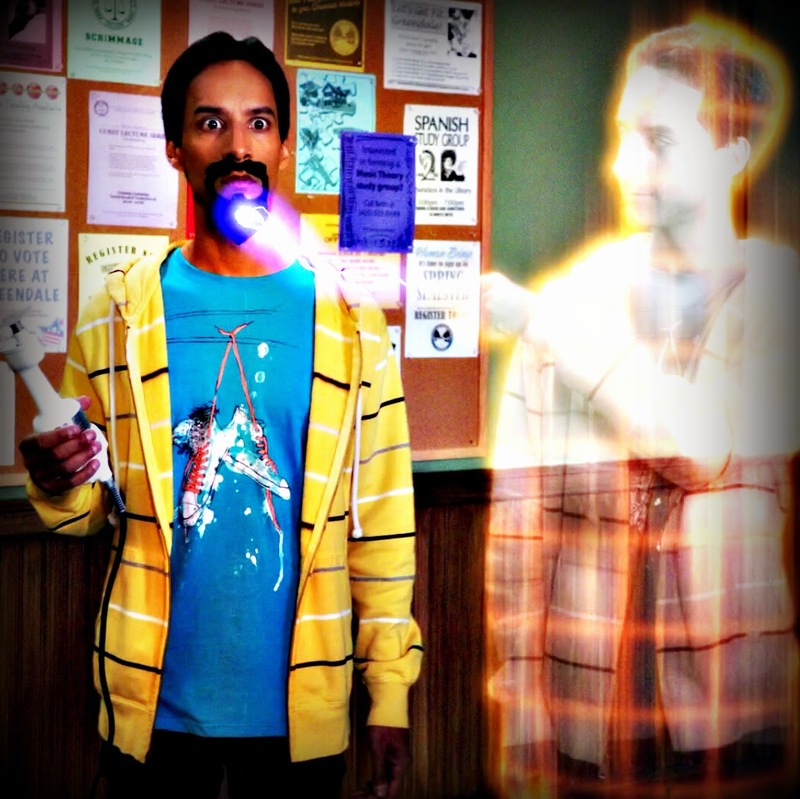 In the episode in which Abed becomes meta-meta, the story arc ends with Abed praying publicly for the narcissistic film he is making to be destroyed, a plea which is over-heard by another character who comes in and destroys the footage and the film cameras. As GK Chesterton writes in the Suicide of Thought chapter of Orthodoxy, to escape the perfectly circular logic of 'the madman' we must not try to argue with him but to get him to simply stop arguing/thinking and to simply do something else. It is the illogical wanderings of a happy person kicking the grass and humming a nonsensical tune which will get us out from trying to assert fantasies of perfect conspiracy and understanding over all reality. We escape Meta-Language when we walk away from trying to define the meaning of language. Also, when we ask for intervention. We do not need to follow the theological under-tones of the Meta-Episode, but merely the self-contained Media(tion) and Community logic of the show to discover how Abed escapes his alienation. 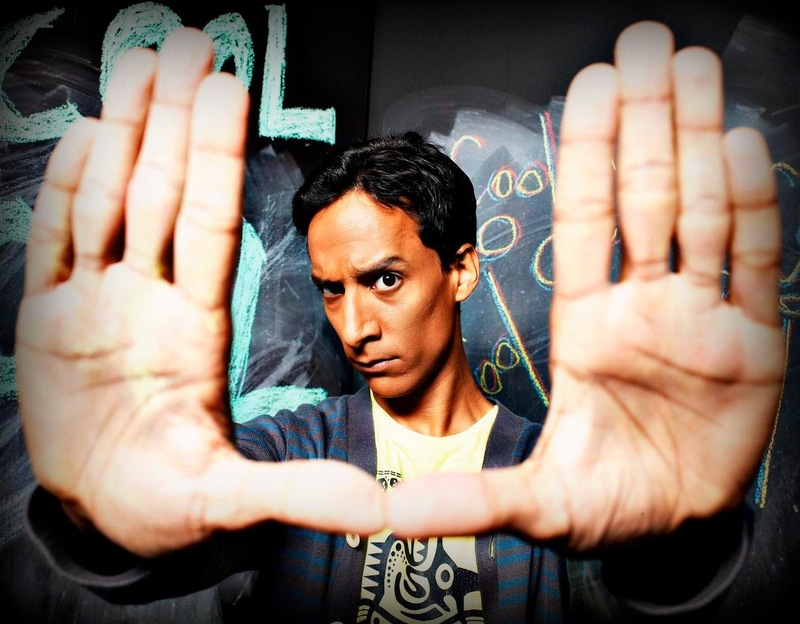 The first episodes after the Pilot, introduces Abed as a character who openly uses Media references and making movies as a performative language to allow him to communicate and make connections with others. His father, who initially disapproves of his choice in college majors, after seeing his first film project realizes the value of doing something, even if it has no inherent meaning, for the sake of allowing his son a means to connect with others. We can see Judith Butler's performativity exemplified by Abed who admits that what he is doing is theatrical but nonetheless enjoys it and employs the behavior as the best (if only) option available to him to accomplish things. Derrida seems to suggest a similar conclusion in his study of structure, sign and play. There is a sense in which one cannot even say "there is no meta-language" because that itself becomes a meta-language. One can only perform performing and find some sense of irony and game in that. From a linguistic and a material level, all things are mediated, and so our connections with others as we enter into understanding our languages and networks/communities we find that the words and objects which constitute us and allow us to connect with others are "not our own." We do not and cannot come into being without an outside system and we cannot continue to live without taking in things (food, air, affection, care, etc) from outside ourselves and then expelling them. By saying that Abed depends on Media to connect with others, or his Community to connect with others, is really no more than saying we all that we all depend on games/things which are a common go-betweens/languages in order to communicate. You may say that Abed is crip, because of his need for these prostheses, but then we are all crip; but in different ways at different times/places. Becoming aware of this may in fact help us to better help ourselves and others. As Abed concludes the quote above: "Everyone else needs my help. That's what people don't get. They need to connect with me. I just need to be able to connect with people like you can, then I can make everyone happy." A bit optimistic, but thinking through optimism may need to be the focus of another post. More on Abed "On Pillows vs Blankets"
Perhaps you want to start taking pictures or want to take more interesting ones. This is an excellent time to begin. Listed below are just some of the tips that will get you that much closer to your photography aspirations.